In accordance with IRS regulations, valid receipts have three elements that must be present for substantiation. More information will be requested when one or more of these elements is missing from the provided documentation, or if accompanying documentation like a Letter Of Medical Necessity (LOMN) is required. Besides the REQUEST FOR MORE INFORMATION notification, a receipt status of NEW NEEDED is displayed under the expense on the consumer portal. Follow these simple steps to determine what other information is required. 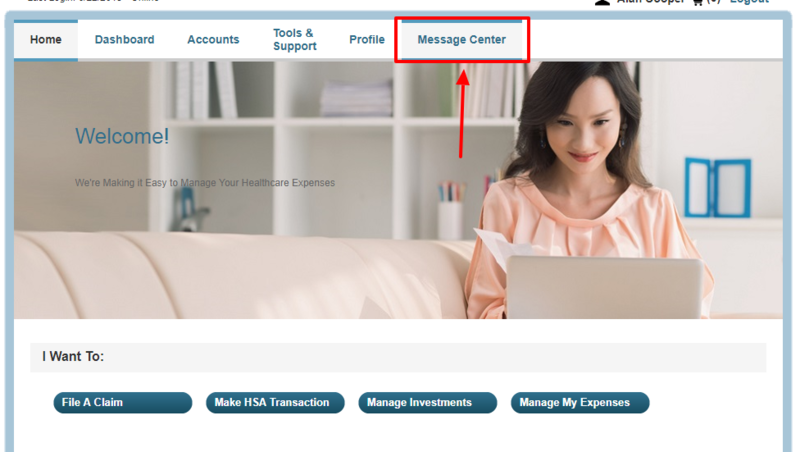 Step 1: From your account HOME page, go to MESSAGE CENTER. Step 2: This section shows the full history of important notifications, so look for the most recent RMI notification. 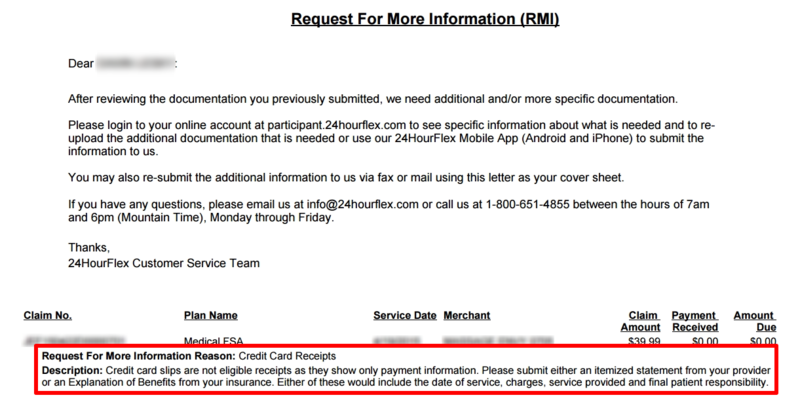 Select the REQUEST FOR MORE INFORMATION that pertains to your active request. Step 3: Review the request for the necessary information. 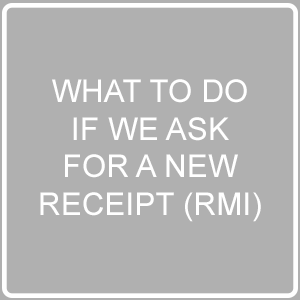 The RMI letter contains the reason for the request, as well as a description of how to proceed.